So there has been a lot of talk about overnight oats lately. I keep seeing photos of mason jars with oats and berries in them with descriptions saying they are overnight oats. 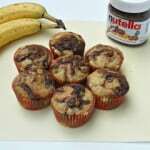 Since I’m always in a rush in the morning I thought this might be something good for me to make for breakfast. I like that it’s filling and it’s something I can make the night before. 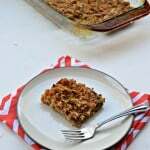 I liked that there is a basic recipe and then you can add any spices, fruits, and nuts to the oats. 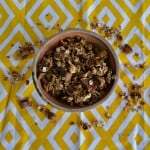 The oat recipe consists of oats, milk, yogurt, some type of seeds, and cinnamon. I used flax seeds in mine but I know a lot of people use chia seeds. It’s all mixed together then fruit and nuts are put on top. 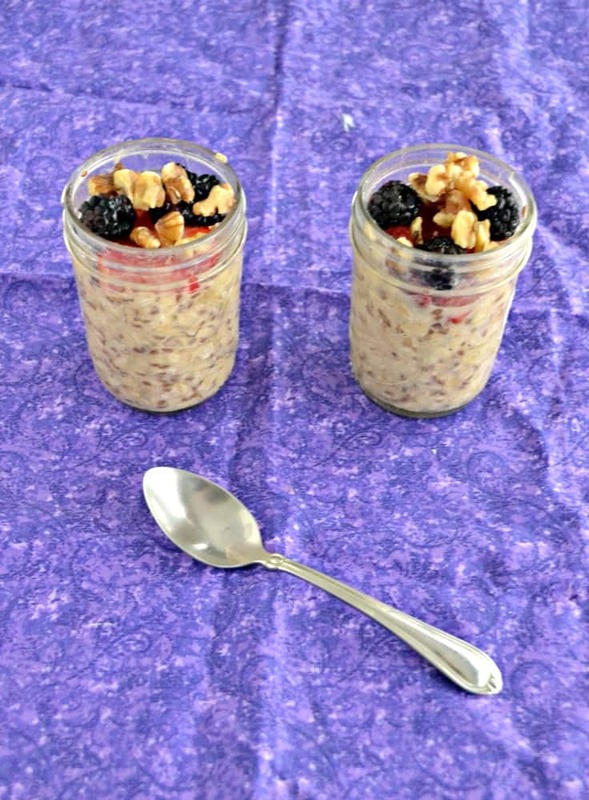 Because the oats are made in small mason jars they are great for taking to work or packing in lunches. The lids are already on so they are just a grab and go item. 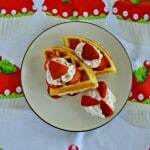 They are so easy to make and great to customize to everyone in your family. I like pecan but my husband likes walnuts so I just sprinkle on whatever we like, label the jars, and we are ready to roll in the morning. 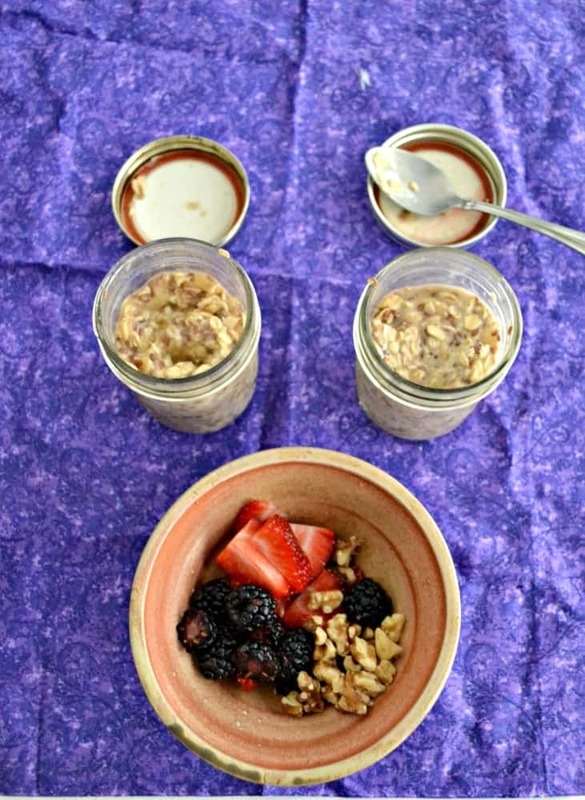 Overnight oats are also fairly nutritious and keep me full until lunch time. I love the creamy texture of them in the morning. I’ve been eating them cold but I’m curious as to whether or not they could be warmed up. I bet 30 seconds in the microwave would be enough to take the chill off of them. SO there you have it, overnight oats are a delicious and easy to make breakfast that can be customized to any taste and they are nutritious too! 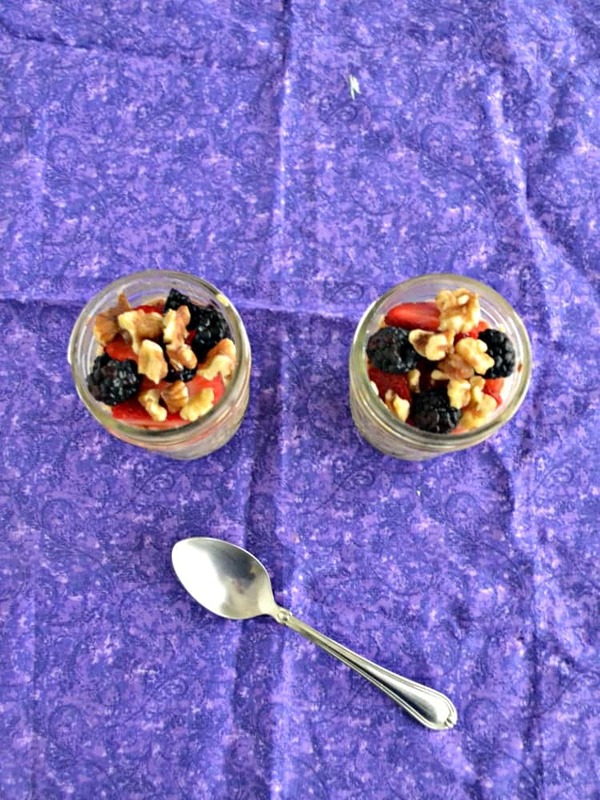 So grab your favorite nuts, berries, and seeds and make your own overnight oats tonight! 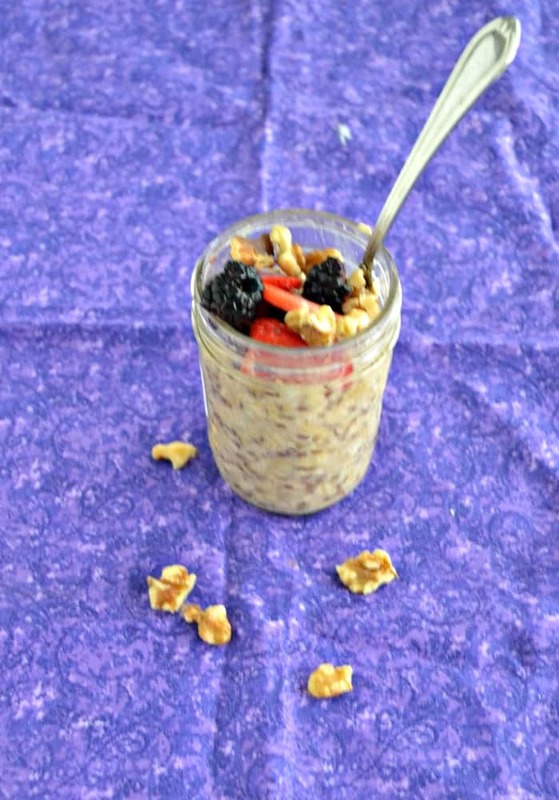 Make breakfast the night before with these easy Overnight Oats with your choice of fruit and nuts! 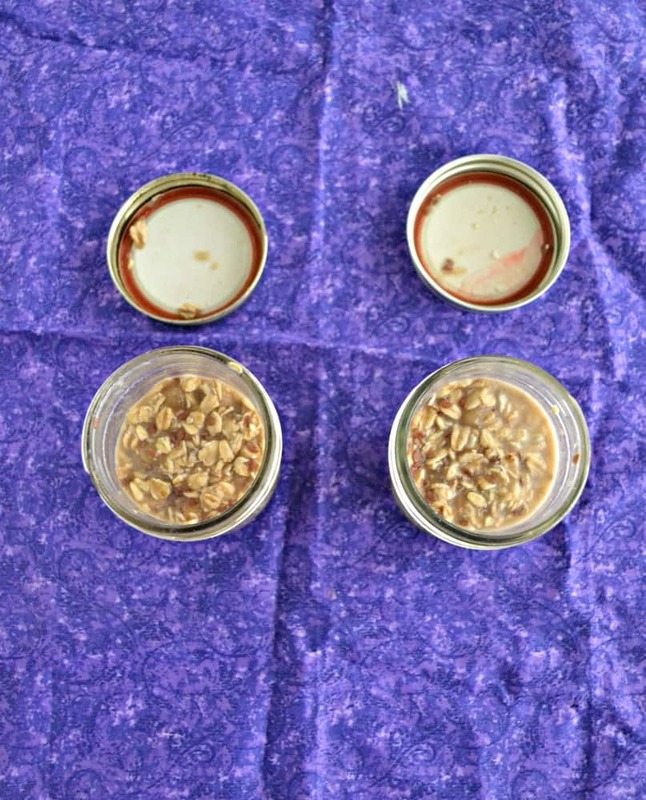 In a half pint mason jar combine the oats, milk, yogurt, seeds, honey, and cinnamon. Place the lid on the jar and shake to combine. Open the lid and add the berries and nuts. Replace the lid and refrigerate for at least 8 hours.